Flexible Dieting is a diet style based on tracking portions and calories. This style of dieting, in combination with a food tracking app like MyFitnessPal, will increase your food tracking accuracy and fat loss results. Of the many diet approaches I have tried throughout my weight loss journey (low-carb, low-fat, Paleo, Atkins, Zone), all have fallen flat when compared to flexible dieting. The main reason flexible dieting has been so powerful for me is how it's less of a "diet" and more of a way of eating for life. It has not only helped me lose over 140 pounds, but it has also allowed me to maintain a lean and healthy body in an enjoyable & effortless way. It’s not only helped me, though. My online coaching clients continue to have incredible success following the flexible approach to dieting I outline for them, too. 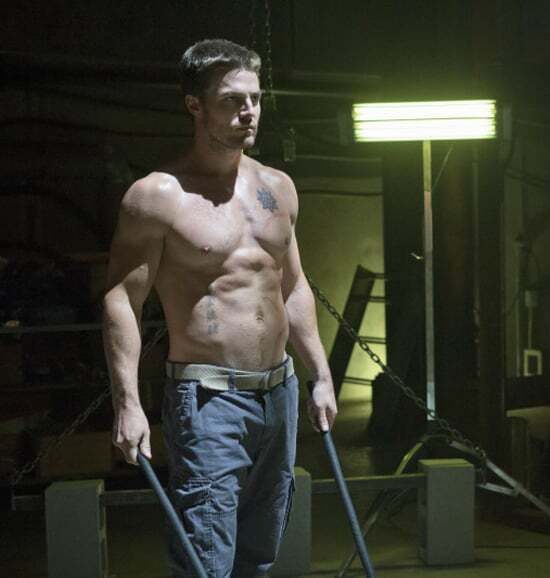 As you can see, Mark completely transformed his body - going from overweight to the Stephen Amell Arrow look he was after. The reason Mark was successful was that he was consistent and dedicated to his diet and exercise plan. Though, Mark would probably tell you that the flexible approach he took has made dropping fat easy, enjoyable, & sustainable! I've yet to write a full-length article on the idea of flexible dieting, so I'll quickly give you the quick "Need to Knows" about it. Flexible dieting embraces the concept of calories in vs. calories out. It involves tracking your food intake and counting calories & macronutrients (protein, carbohydrate, and fat) to create a calorie deficit. Now, you may have been told that "Calories don't matter" or that "Calories don't exist." But that just isn't the case. Calories DO exist, Calories DO count, and Calories DO matter. The fact of weight loss is this: If you are losing weight, then you are–in some way–eating fewer calories than your body needs, creating a negative calorie balance (see illustration below). While most diets revolve around restricting or removing certain foods to create this deficit, flexible dieting & calorie counting go straight to the source of what causes weight gain and weight loss. What makes flexible dieting extra special, though, is how it doesn’t define certain foods as good or bad like basically every other diet. Instead, you can allow for things like chocolate, cookies, alcohol, or any other “non-diet” food as long as it fits within your calorie budget and you get sufficient fruits, veggies, and fiber in for the day. The only caveat with flexible dieting is that you have to be fairly accurate with tracking your food intake, especially in the beginning when you’re learning what proper portions are. If you aren't accurate with weighing, estimating and tracking your food intake, then you can quickly eat too many calories and defeat the purpose of tracking in the first place. MyFitnessPal (MFP) currently leads the charge for food tracking apps, and primarily because of one feature. What makes it great is that anyone can add food (and its nutrition information) to the MFP food database, which makes it easy for you to find, track, and log most foods you’ll eat on a regular basis. 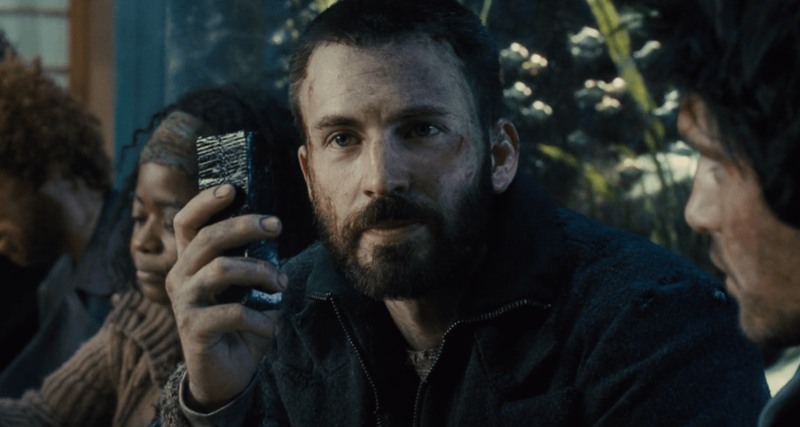 Chris Evans as the lead in the very underrated Dystopian Film "Snowpiercer"
The Bottom Line: If you want to guarantee consistent fat loss results while allowing for sweets and alcohol in moderation, then flexible dieting, along with using a food diary app like MyFitnessPal, is your best option. For the rest of this article, I am going to cover how to get started and properly use MyFitnessPal so you can avoid some of the common mistakes get fast and consistent fat loss results from the start! Your first step will be to download the MFP app or create your account on a desktop computer. Once you do that, you'll complete your profile and MFP will spit out recommendations for how many calories you should be eating based on your current body stats and fitness goals. Here's the issue, though - the suggestions MyFitnessPal gives for calories are very often inaccurate. Instead, find your calorie goals using an online calorie calculator such as this one. Once you figure out how many calories you need (ideally to lose ~1-2 pounds per week), manually set your goals in MFP to reflect those numbers. You should also increase your protein percentage to at least 25-35% of your total calories, especially if you’re trying to lose fat. When you're in a calorie deficit, protein is essential. It’s will help you maintain muscle mass, increase your metabolism to burn more fat, and help keep you fuller longer. I’ll quickly go through each one and the best methods for tracking each. These are the easiest foods to track because they already provide the nutritional information on their packaging. To track them, all you have to do is search the MFP database for your food and pick the result that matches with the label you have. 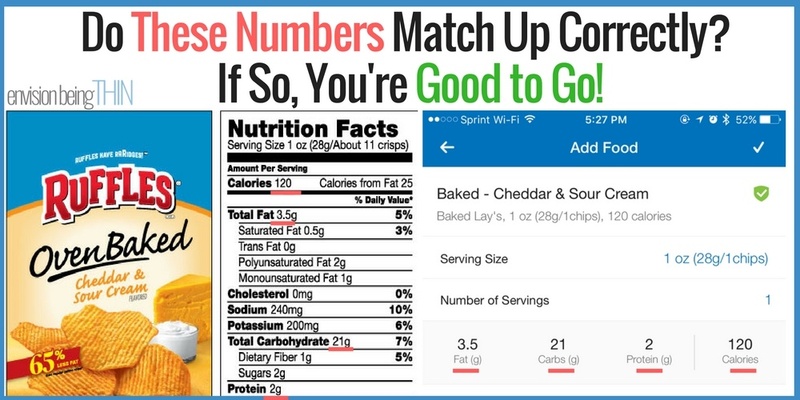 Most labels only show the nutrition information for one serving, and more often than not, there is more than one serving in the entire package. HOWEVER, there are 2.5 servings in the entire container. Therefore, the total calories and macros for the bottle of soda is actually 280 calories and roughly ~ 77g of carbohydrates. If you only tracked one serving and drank the entire bottle, you'd be undershooting the calories by 170. That might not seem like much, but do that a few times, and you can completely erase your calorie deficit for the day! You are adjusting for how many servings you consume of that particular food. Note: MFP has a feature where you scan the barcode of packaged foods, and it searches the database for you. If you use this function, just be sure that the food entry that comes up matches the calories and macros (carbs, protein, and fat) on your label. 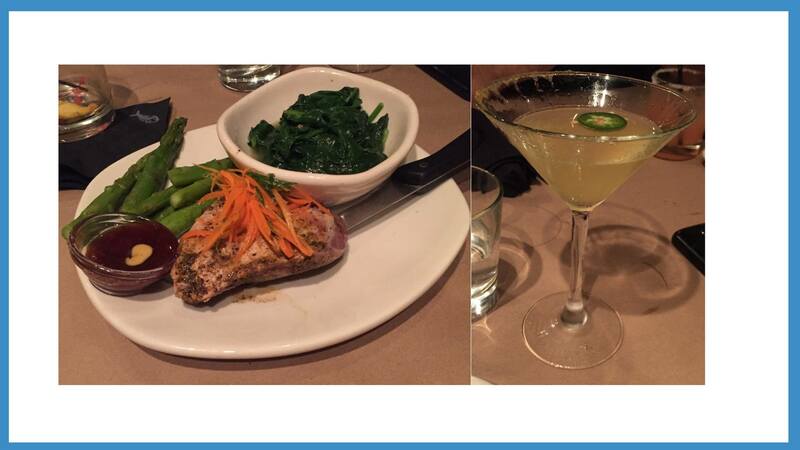 One of the best parts about flexible dieting is that you can go out to restaurants or drink a few cocktails at a party while simultaneously keeping within your calorie budget to continue losing fat. You just have to be smart and practice moderation. Now, the trouble you'll run into with going out to eat and drink is that it will be harder to track your intake accurately. When you're at home, it's easy to use a food scale or measuring cups to serve yourself correct quantities of food with precision. However, the same luxury doesn't exist when dining out. Wouldn't it be better to enjoy a night out of eating and drinking WITHOUT setting yourself back? I say HECK YES, and I have been (successfully) doing it for years now. But like I said, you have to be smart and use moderation to eat out and still lose fat. 1. Plan ahead of time - If you know you're going out, take the time to look at the menu and nutrition information for the particular restaurant you'll be going to. If you plan what you'll be having later in the evening, it'll be much easier to adjust the other meals you eat around the event so that you stay within your calorie and macronutrient budget. 2. Add a calorie and fat buffer - Part of the issue of eating out is that you don't have much control over how the food is prepared. You can't know for certain whether the chef used more or less food and oil on that particular night, which could easily add or subtract ~100-300 calories from the nutrition information they have on their website. To fix this, I simply add 10g of fat or around 100 calories to whatever meal I get. It's better to overestimate calories than to underestimate them. Another scenario you may find yourself in is eating at a house or wedding party. This scenario is slightly tougher that going to a restaurant in that you probably won't have the nutritional information for foods like you would at most restaurants. If I am at a party and trying to monitor my calorie intake, I first decide what I want to eat. Then, I look up an equivalent food entry in MFP. For example, let's say I want a chocolate chip cookie from the dessert spread at a party. In this situation, I would search MFP for “chocolate chip cookie” and pick the result that best matches the cookie in question. Is the cookie you want bigger than a regular sized cookie? Then choose a result that is for a larger cookie with more calories. Foods without labels usually include fresh foods bought from the store or a Farmer's Market, so think fresh fruits, vegetables, meat, etc. Although they don't typically include a nutrition lable, there is a quick and simple fix. The United States Dietary Association (USDA) has an online food database that includes the nutritional information virtually every food imaginable. What's even better is that many of the USDA food database entries are already created inside MyFitnessPal. Search the MFP database with the letters "USDA" followed by the name of the food in question. For example, if you're looking for the nutritional information for a banana, you would type in: "USDA Banana." If, for some reason, your food doesn't show up on MFP using that protocol or the results don't seem correct, go online and search the USDA food database directly for your food in question. Once you find the right nutritional information, you should use it to create a new food in MFP. That way, you’ll have it saved for later. Whether you’re weighing your food raw or cooked, it’s important to make sure that the MFP food entry you choose is the same. 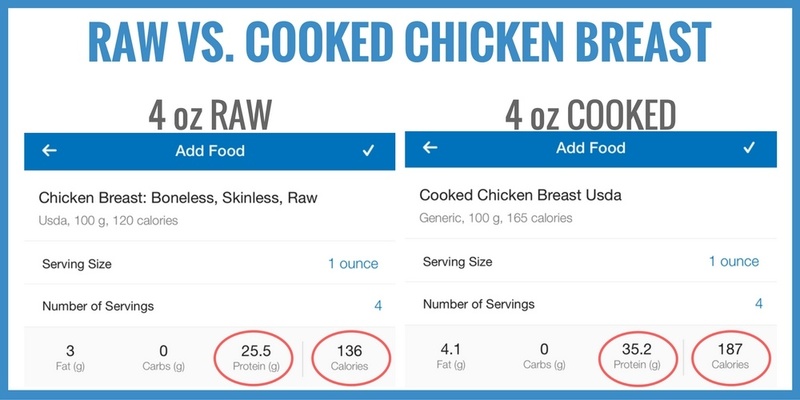 As you can see, there is a huge variance between 4 oz of RAW and COOKED chicken breast, especially in grams of protein and total calories. Meat tends to lose a significant portion of water when cooked, so 4 oz of cooked meat ends up being more actual food than 4 oz of raw meat. On the other hand, most veggies & grains ADD water after cooking. If you have the choice, it's usually better to weigh your food raw because it is much more accurate and consistent. Either way, though, be sure that you are being consistent and using the right entry. The Bottom Line is this: Be sure that your food entry into MFP accounts for raw or cooked depending on how you measured your food. Once you find a food that has the correct nutrition information (aka the calories and macronutrients match up), remember that entry for later. Most of us eat the same 15-20 foods, so when you find a valid entry for a food you eat on a regular basis, be sure to use it in the future to increase your consistency. Another, but potentially time-consuming, method is to create a new food entry for each food you eat. It'll take time, but once you create them, you'll have them ready for the future, and you'll know without a doubt that they are correct with your food entries. If you are rushed and don't have time to create a new food, but have the nutrition information for a food, you can quickly add it to your MFP diary by adding the carbs, fat, and protein. To do this, you can use the paid version of the app (which lets you "quick add" macros), or you could do it the free way by simply search for "Carbohydrate," "Protein," and "Fat" in the food database. They’ll go throughout the day mindlessly eating whatever they want–tracking their calories and macros with glee–but then they find themselves starving at dinner with only a few hundred calories left or way behind on their protein and veggie goals for the day. I’m not a fan of strict “Eat This, Not That” meal plans, but I do think that there is value in planning meals ahead of time. The truth is that we are creatures of habit, and most of us will do best when we have a scheduled plan for the day to come. Planning meals will not only help you be more accurate, but it'll also reduce how often you're thinking about food throughout the day. You don't have to go crazy and plan your entire week of meals though. I've found that most people do best when they plan their meals out the day before. I usually have my clients do their planning the night before so that they can have it ready to go and not have to think about it the next day once things get busy. If you can't or don't want to track your food intake the day before, just be sure that you're at least tracking your food before eating. You're 1000x more likely to stick to your calorie and macro goals when you log what your plan to eat beforehand. If you eat something and then try to recall it later, you'll be much less accurate. This doesn't need to be a strict law, though. There will be situations where you may have to wait till later to log, but if you want to get the best fat loss results possible, it's best to log your food before eating the majority of the time. . The reason I recommend flexible dieting, calorie tracking, and using MyFitnessPal is that it works and gets results. (as you can see from my client Mark's transformation above). If you are interested and want to try flexible dieting for yourself, then the first thing you should do is save this article and also download my Fitness Start-Up Plan. If you still have questions after that, feel free to send me a message through email, social media, or as a comment on this post.